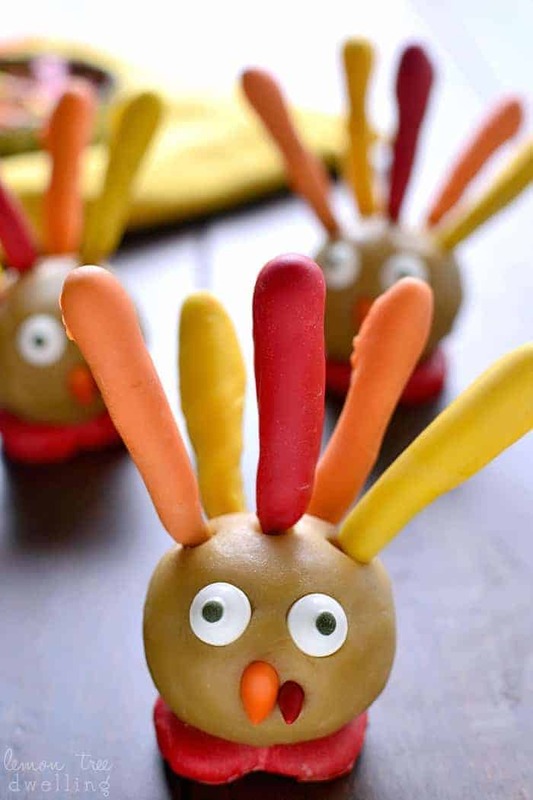 Thanksgiving Cookie Dough Turkeys are simple, delicious, and fun for Thanksgiving! A great dessert recipe for a class party or Thanksgiving dinner. Best of all, easy enough for little hands to help make them! I have to admit – as much as I love being a food blogger, there are times when it can feel purely daunting. Times like when you have to negotiate with a brand or learn a new way of doing something or re-make a recipe seven times to get it just right…..
I’ve come to learn, over time, that these things are just part of the deal. And I’ve come to expect them. But one thing I never expect is the sheer terror I feel when someone in my real life asks me to do something foodie related for them. Not because I don’t want to do it….but because I feel so. much. pressure! 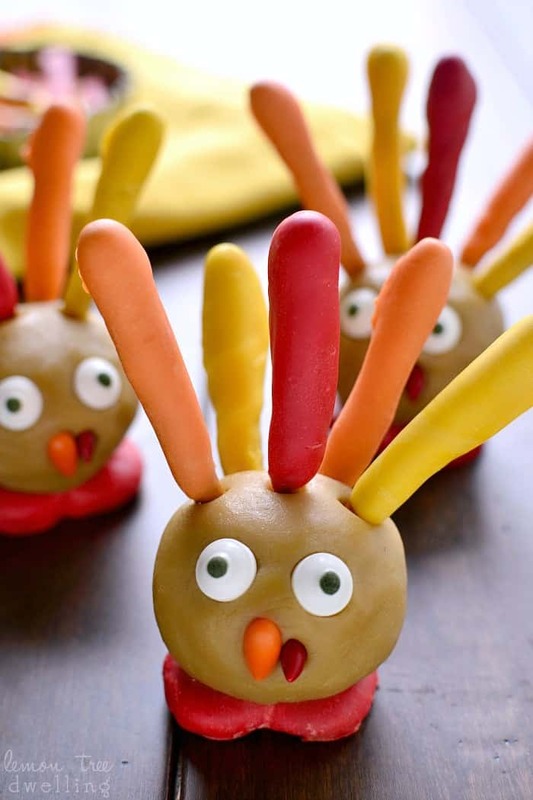 Case in point: these Thanksgiving Cookie Dough Turkeys. Aka the “cooking” activity I did with Greta’s Brownie troop so they could earn their badge! Let’s just say 24 second graders is a whole new level of daunting….but the good news? They’re suckers for all things cute! And if there’s one thing these little turkeys are, it’s cute. As you can imagine, we ended up having a blast. The girls measured and poured and mixed and rolled and each got to decorate their own little turkey. As it turned out, they’re not just cute….but easy to make and incredibly delicious! 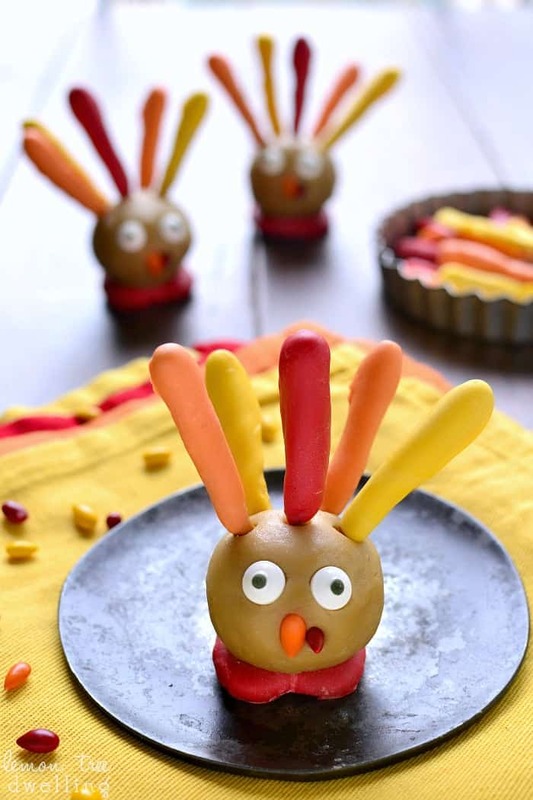 Making Thanksgiving cookie dough turkeys is the perfect activity for the next time you want to have some fun with your kids….or make something super cute….or both! 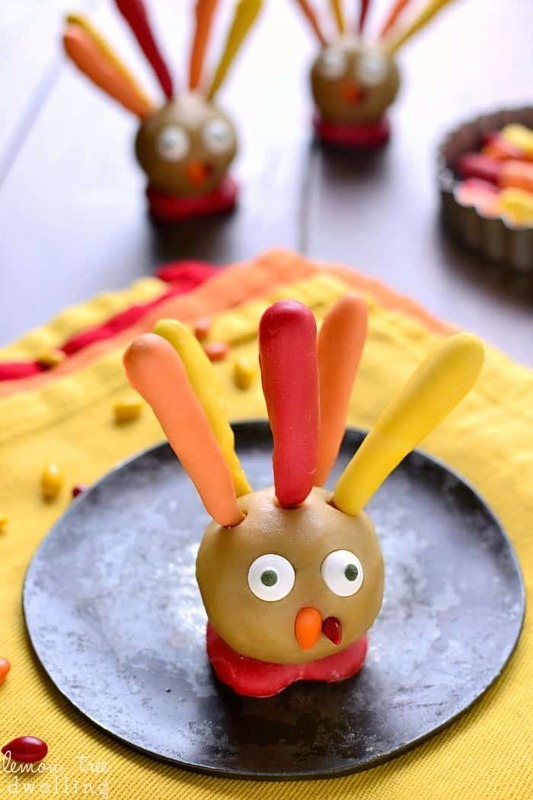 These Thanksgiving Cookie Dough Turkeys are simple, delicious, and SO fun for Thanksgiving! 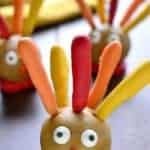 They're perfect for a class party or Thanksgiving dinner, and best of all, the kids can help you make them! Stir in 1 Tbsp. milk. Chill dough until firm enough to roll into balls. Meanwhile, melt candy melts and dip pretzel sticks to coat. Leave 1 cm. at the bottom of each stick. These will be the feathers. 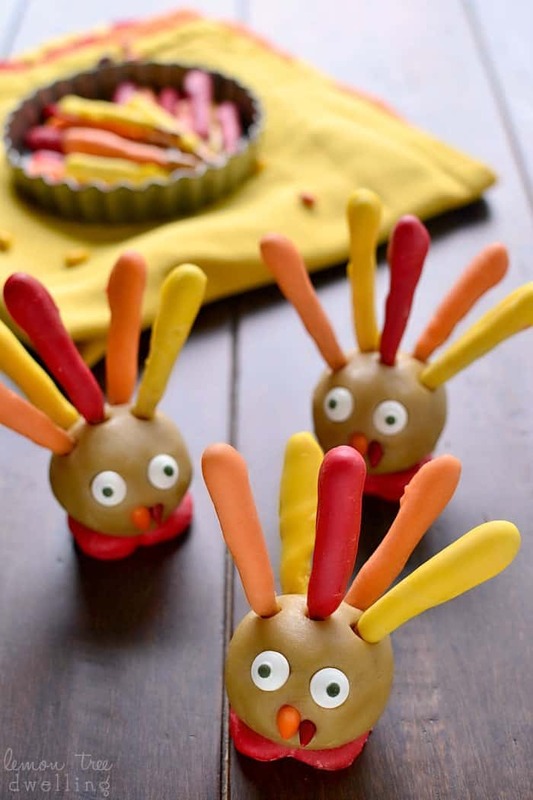 Dip small pretzels in red candy melts for the turkeys' feet. Roll dough into 8 balls. Decorate with candy eyeballs, sunflower seeds, and pretzel sticks. Place each turkey on top of a small red-coated pretzel. These are so flipping adorable! !